Dan Raz held the position of Tel Aviv District Planner between the years 1990 and 1995. 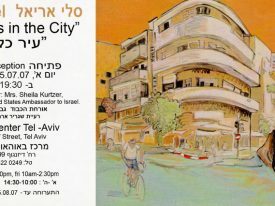 His experience within those years allowed him to become closely acquainted with Tel Aviv, and this relationship is reflected in his paintings of Tel Aviv. Raz depicts Tel Aviv as a city full of contradictions—young and old, green and grey, obvious and mysterious, happy and gloomy, and so on. He often displaces buildings from the original surrounding and pays with size and color creating a surreal environment. 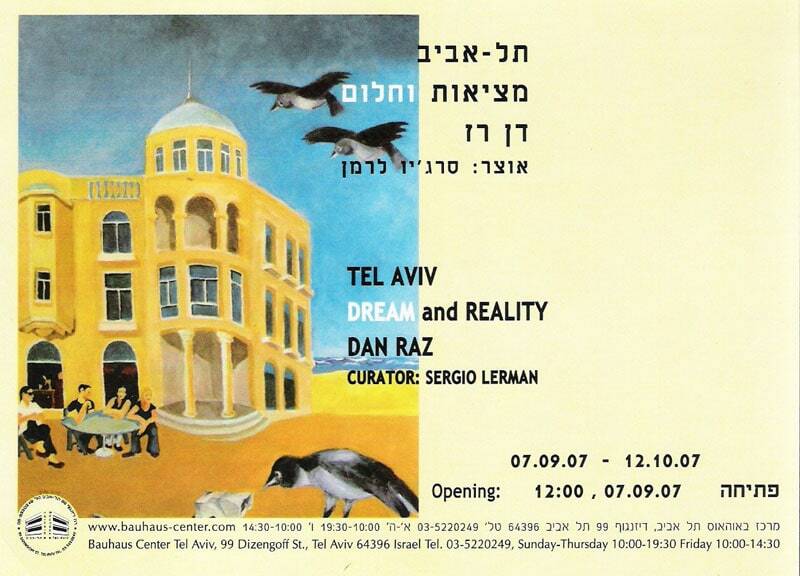 Tel Aviv of Raz’s paintings reflects not just the physical past, present, and future, but also the unique mix of people in Tel Aviv who all have a voice and a story.